The Arts Council of Mississippi County will feature a display of works from more than 30 Blytheville Public Schools student artists in The Gallery of The Ritz Civic Center during May. 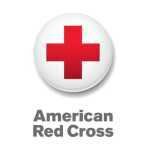 The Northeast Arkansas Chapter of the American Red Cross is again looking for community heroes across the area. A police chase concluded with a man smacking a utility pole, then bulldozing chain link fences and colliding with a house in the 800 block of East Walnut Monday morning. Looking around at the old Franklin Press building the other day, I spotted a few old Air Force photographs and several plaques still hanging on the wall. Blytheville firefighters responded to a call at 1:36 a.m. Tuesday at the 1500 Block of Ward Lane extended.